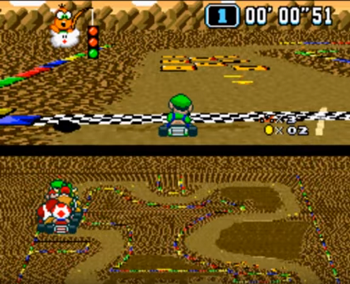 Super Mario Kart Alternate Tracks is a super nintendo ROM hack based on the super mario kart SNES game. Every track has been re-created as well as the battle modes. 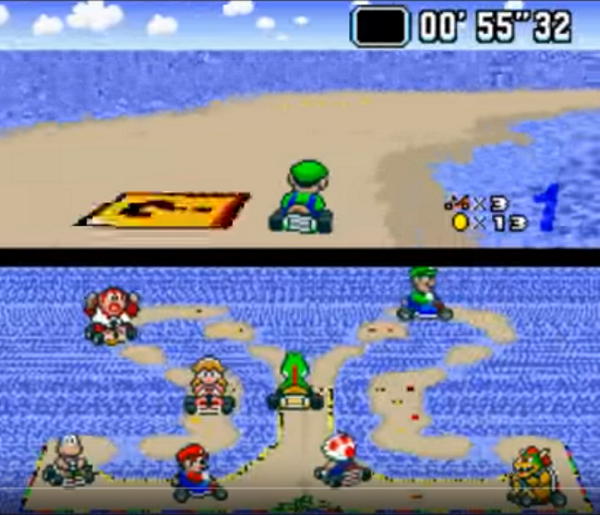 Unlike other mario kart hacks the AI of the computer racers works really well and offers a nice challenge for the player. Super mario kart on the SNES is one of my favourite games of all time and I get super excited when I review a hack of the game. The graphics and music in this game are the same as the original but the tracks and battle mode have been redesigned. Ive played this hack and I really enjoyed it, the new tracks are well designed and well laid out (Item boxes / coins / speedups are all well placed) and are equally as good as the original tracks. I feel the difficulty is just right, 150cc races can be a bit of a challenge but not unbeatable. 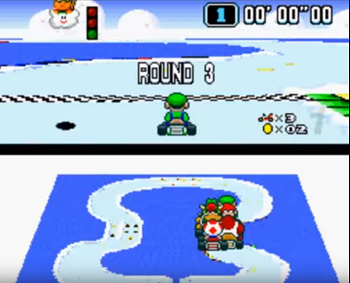 A really good challenge for any super mario kart fan. I would say this is the second best super mario kart hack I have played, It comes a very close second to super mario kart r. If you are a super mario kart fan you must play this hack. Question : Can I download and play Super Mario Kart Alternate Tracks SNES ROM Hack? Answer : Yes 🙂 You can download Super Mario Kart Alternate Tracks ROM from ROMHacking. The download links have been tested and are working at the time of posting this article, If you find the links don’t work please let me know by posting a comment below. 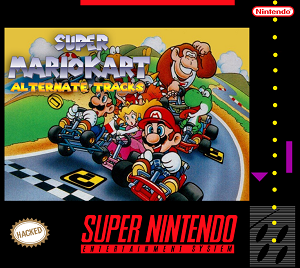 Question : What Emulator Shall I Use To Play Super Mario Kart Alternate Tracks (ROM Hack)?